Microsoft on Monday announced new keyboards and mice optimized for tablets and laptops running the Windows 8 operating system. The new devices are lighter and more mobile, and will work with tablets running the latest versions of Windows 8 and RT, which are due for release on October 26. The new mice and keyboards are wireless and connect to devices using Bluetooth, cutting the dependence on USB ports. Microsoft's new mice and keyboard will be released around the time of the Windows 8 launch, Microsoft said in a statement. The company will release its Surface tablet with Windows at around the same time. The $79.95 Microsoft Wedge Mobile Keyboard is a full-size keyboard designed for tablet users, and has specific hot keys for Windows 8 that provide quick access to search, system settings and the Metro user-interface in the Windows 8 OS. It uses Bluetooth to communicate and comes with a cover that when used turns off the keyboard to increase battery life. The cover can be used as a tablet stand, as well. 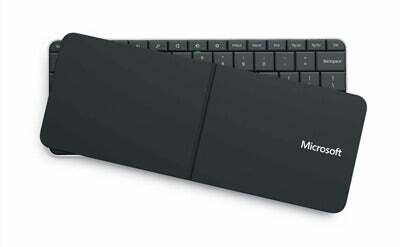 The $49.95 Microsoft Sculpt Mobile Keyboard, has a six-degree curve, much like Microsoft's ergonomic keyboards. The keyboard has many of the specific Windows 8 hotkeys, and offers ten months of battery life on active usage. Earlier this year, Microsoft's Hardware division announced that the Touch Mouse would get updated to include new touch functionality specifically designed for Windows 8, including support new gestures that will help make navigating easier. 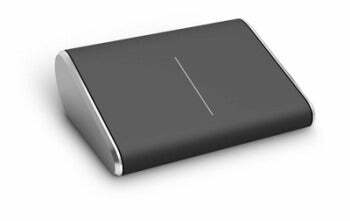 The $69.95 Microsoft Wedge Touch Mouse can shut down when a tablet goes into sleep mode, extending the battery life of the mouse. It is smaller than a traditional mouse, and is designed for mobile use as it can fit into a pocket and work on any surface. The device provides "four-way" touch scrolling, Microsoft said. The new accessories will work with devices based on Intel processors, and also with Windows RT devices based on ARM processors. The new keyboards and mice are also compatible with Windows 7, Vista and Mac OS, though some advanced features may not work, according to Microsoft.